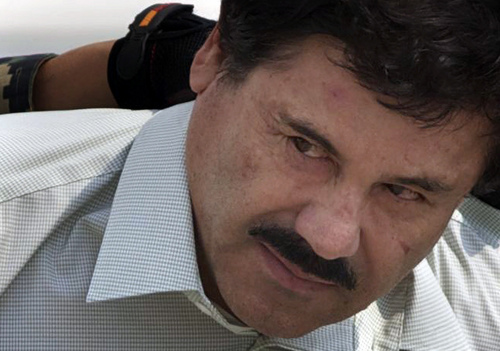 Drug trafficking • "El Chapo" Guzman did his homework on successful business developing. Washington • Likely facing a long prison stretch, Joaquin "El Chapo" Guzman could consider writing one of those how-to-succeed-in-business books, the kind churned out by legendary American CEOs Lee Iacocca and Jack Welch. If he did, he could invoke many of the business world&apos;s favorite tactics, including logistical networking, expanding markets overseas and, most of all, outsourcing. After all, it&apos;s no accident that Guzman took an organization rooted in the rich poppy- and marijuana-growing lands of the Mexican state of Sinaloa and turned it into a worldwide enterprise. The illegal business brought in billions and earned him No. 67 on Forbes&apos; "most powerful" list, one behind House Speaker John Boehner. Franchising os efficient, cost effective • While other cartels often depended on their own operatives to market drugs, Sinaloa pioneered business alliances with regional and local criminal gangs, said a senior Drug Enforcement Administration official who spoke on condition of anonymity. Other cartels&apos; use of their own operatives from Mexico "initially was a great thing for U.S. law enforcement because they were easy to identify," the DEA official said. Local street gang members and affiliates are not as easily tracked. In California, a 2011 FBI report said the Sinaloa Cartel built alliances with gangs such as the Mexican Mafia, Surenos and Border Brothers, which has roots in Oakland. In Los Angeles, Sinaloa-connected gang members have been involved in kidnappings, drug sales and collecting drug proceeds, the report said. Operation Xcellerator, a 2008-2009 U.S. Department of Justice roundup of Sinaloa&apos;s U.S. foot soldiers, netted 150 in Los Angeles, 11 from Stockton, one from Tracy and one from Oakland. 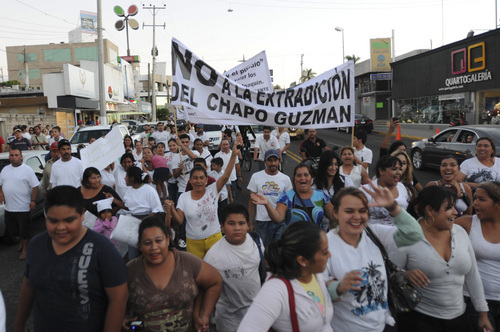 For Guzman and his hierarchy, the upside is huge and the downside minimal. "A lot of times (locals) have no idea who they&apos;re actually working for," said Sylvia Longmire, a former intelligence contractor for the California Governor&apos;s Office of Homeland Security and author of "Cartels: The Coming Invasion of Mexico&apos;s Drug Wars." "The beauty of outsourcing to networks of gang members is they have little valuable intelligence to give police if they&apos;re arrested," Longmire said. 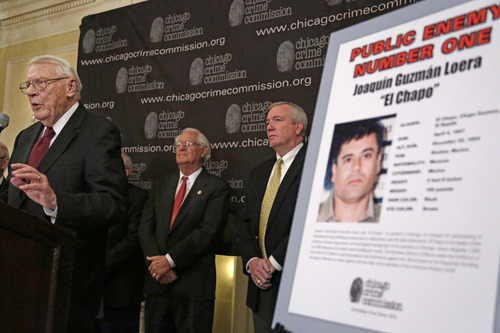 "The cartel doesn&apos;t lose much besides the drug load, which is the cost of doing business." In addition, the Sinaloa Cartel has used boats to transport drugs to California and to Vancouver, where the Hells Angels act as their on-the-ground interlocutors in Canada. Location, location, location • Nestled between the Pacific and the Sierra Madre, Sinaloa got its boost as a drug-growing region during World War II when the U.S. needed a ready supply of opium poppies to turn into morphine for wounded troops. Guzman&apos;s uncle, Pedro Aviles Perez, started the cartel in the 1960s  the first to use aircraft for transporting marijuana. 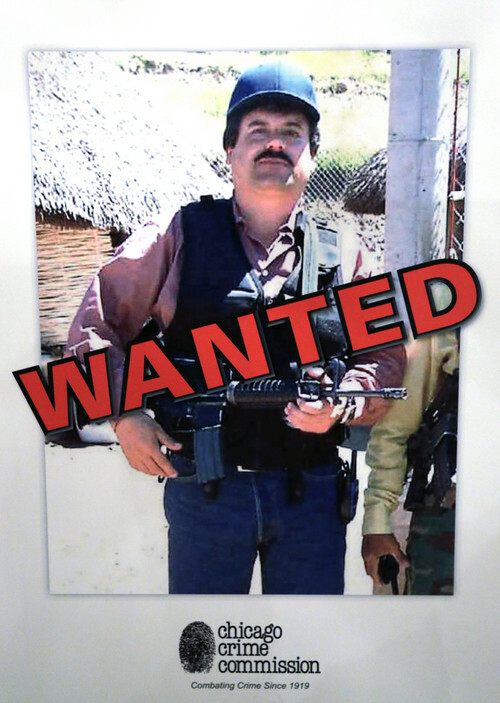 Sinaloa&apos;s location in northwest Mexico near the border of California proved to be the cartel&apos;s main logistical asset. The Sinaloa-Los Angeles route "provides easy access" to U.S. markets, said Jeronimo Cortina, a political scientist at the University of Houston who studies Mexico. 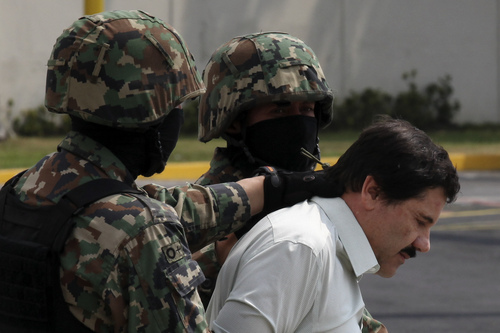 So it is no wonder that at the time of his arrest by Mexican marines in Mazatlan on Feb. 22, Guzman was under indictment in San Diego, New York, Chicago, Miami, El Paso and elsewhere in the United States. Searching out new markets •Mexican cartels started handling huge quantities of Colombian cocaine in the 1980s after U.S. law enforcement blocked the traditional Colombian smuggling route through the Caribbean and South Florida. But the American appetite for cocaine has been on the wane in recent years. More than any of their competitors, the Sinaloa Cartel has countered the decline by opening new markets for cocaine overseas. Guzman started shipping cocaine to Europe via West Africa. The markup is two or three times what it would be in the United States and business has been brisk, the DEA official said. But Europe is not the end of the line. Sinaloa Cartel cocaine permeates Asia, from Dubai to Shanghai, Hong Kong and Singapore  "anyplace where there&apos;s a lot of people with disposable income," the DEA official said. Secrets of a successful entrepreneur • While corporate outsourcing and cost-cutting often are described as "cutthroat," murder is not an acceptable tactic in the rest of the business world. 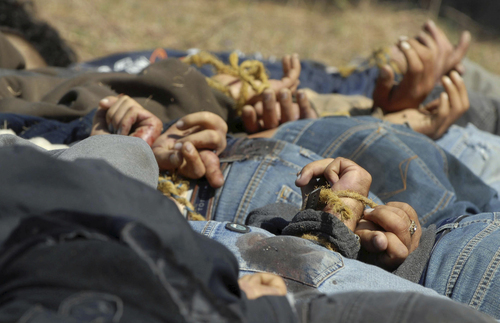 But the cartels do it with impunity, costing the lives of 50,000 or more Mexicans since former President Felipe Calderon brought in the military to fight the drug lords in 2006. Cartels like the Zetas use murder to terrorize and intimidate, cutting off faces, heads or limbs, or hanging victims&apos; remains from bridges. 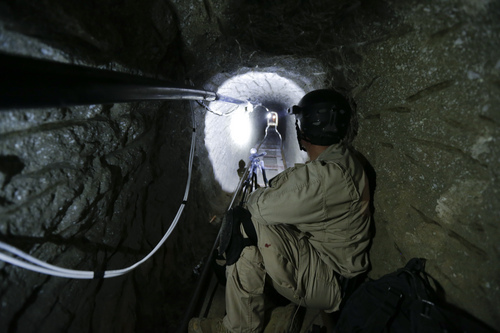 The Sinaloa Cartel also has used violence to achieve its goals, vanquishing rivals in a battle for the lucrative smuggling "plaza" through Juarez and El Paso, a conflict that resulted in 5,000 or more deaths. But Guzman and his associates were said to view violence as bad for business and notably refrained from the kind of grotesque dismemberment that marked Zetas killings. "Body dumps, going after U.S. law enforcement, kidnapping peasants  those sort of things attract unwanted attention," Longmire said. "Image turns out to be a very important part of the drug business." Succsession planning • Experts in and out of law enforcement agree the Sinaloa Cartel&apos;s business is unlikely to be affected by Guzman&apos;s arrest, as long as his No. 2, Ismael "El Mayo" Zambada, remains at large. Zambada is 66, a decade older than Guzman. 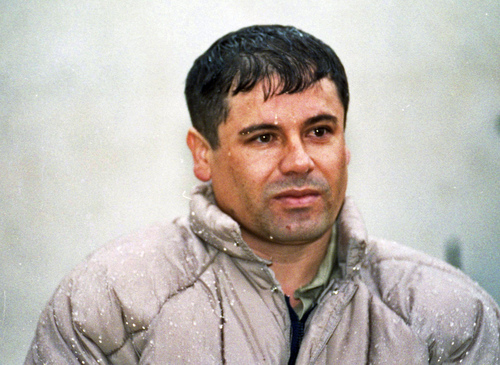 He is said to be a family man and more of an old-school drug lord who told Mexico&apos;s Proceso magazine in 2010 that he would rather commit suicide than be captured. But even if Zambada is arrested, enough seasoned replacements stand in the wings to assure the cartel&apos;s survival  as long as there&apos;s still money to be made. Mexican authorities would have to detain several levels of cartel operatives to have an impact, the DEA official said. But the arrest of Guzman is bound to cause some dislocation. "There&apos;s no contracts in this world," the official said. "A lot of things are done on a handshake." Guzman "had his pet turtles, people he&apos;s taking care of that El Mayo didn&apos;t care for," the official said. "He may replace or reduce them as he puts his own people in place. It&apos;s an international corporation, so it operates on the same principles."